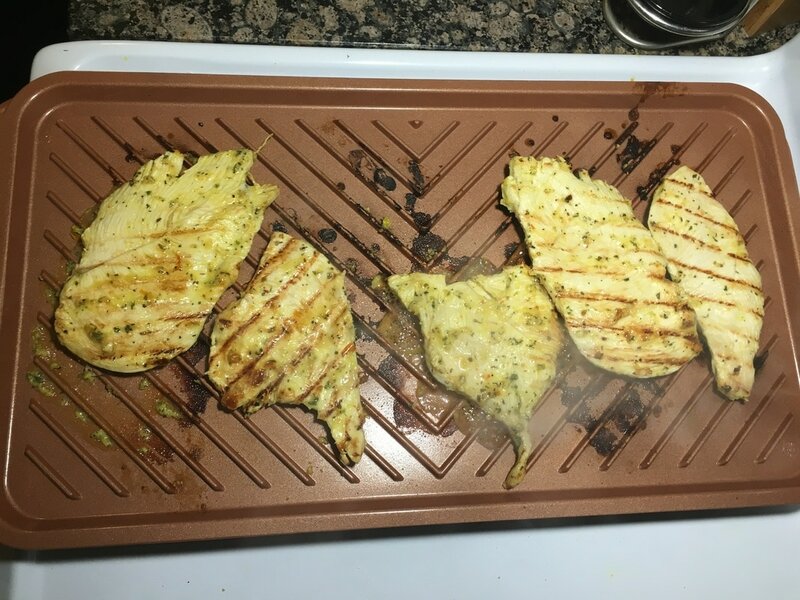 I have an electric griddle and I also have a grilling pan. What I didn't have was an item that combined the two and spanned across 2 burners. I came across one at Ross and wanted to buy it so bad. It was a different brand from this one in which I am going to talk about. It took everything in me not to impulse buy the item and so I left it. For the next week or so, it was the only thing I could think about and made a decision to go and buy it. I went back to Ross and of course, it was no longer there. If anyone knows how Ross works, it's not a simple matter of asking them to order an "out-of-stock" product. It doesn't work that way. If something is gone, it's just gone. I regret to this day that I didn't get it. So I went on a hunt searching for the perfect double burner that had a grill on one side and a griddle on the other. I found an awesome, heavy duty cast iron one. I used it for about a week and I had to return it. I know cast iron is heavy and will last a lifetime but this one was just way too heavy for me to handle regularly. It was also way too much work to up-keep, too much work to clean and it rusted after my very first use. I was not in the mood to deal with the extra work. So after much research, I decided to try the infamous "As Seen on TV" brand. These TV ads have a way of making you really want their item. After seeing their infomercial on YouTube, I really, really wanted it. Their ad is below if you want to take a look. Anyway, I checked other people's reviews and some were positive while there were quite a few negative ones. I figured I'd just try it myself to see if it was something I could use regularly since it is the type of item I was looking to have. 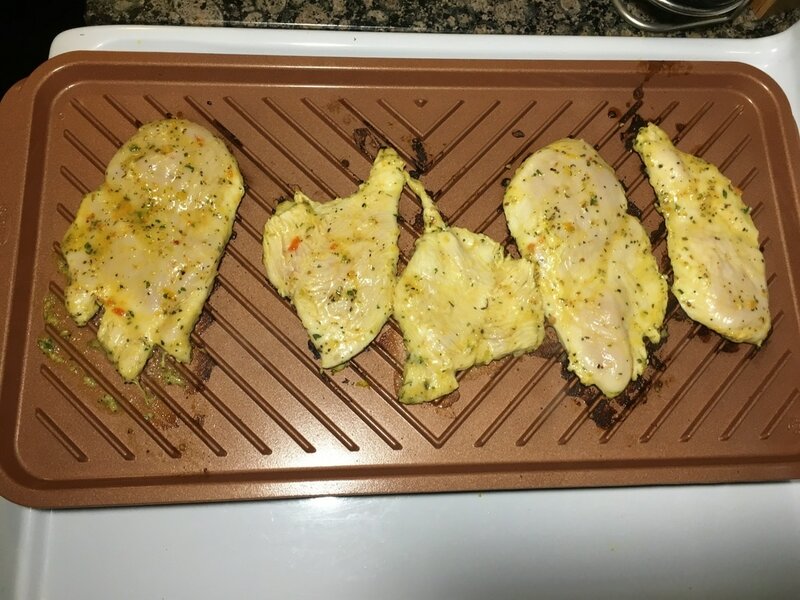 I washed the product and decided to make grilled chicken. The first thing I realized about this product is the grilling bars. They were raised high, thin, and the length between each grill bar was a bit far to me. They did resemble the way an actual grill would be portrayed but I feel like since this is used on a stove top, slight adjustments would need to be made. Actual grills have thin bars because the flame and heat have a space to hit the food when it cooks. On a stove top, that space is a flat sheet of metal and not much heat really dissipates through to cook the food. I personally feel the grill lines should have been a bit wider to provide more surface area in the cooking process. The chicken took a much longer time to cook because of it. Secondly, seems like it's not a good idea to cook anything on here that has a saucy marinade. This chicken was marinated in one of those McCormick seasoning grilling packets that require you to add vinegar, water, and oil. So yes, it was wet. Therefore, the excess liquid burned extremely quickly, literally turning black. I am going to assume that cooking only dry rubbed spices on any of your meats would be best. Even so, the liquid that comes out of your meats would burn quickly too. 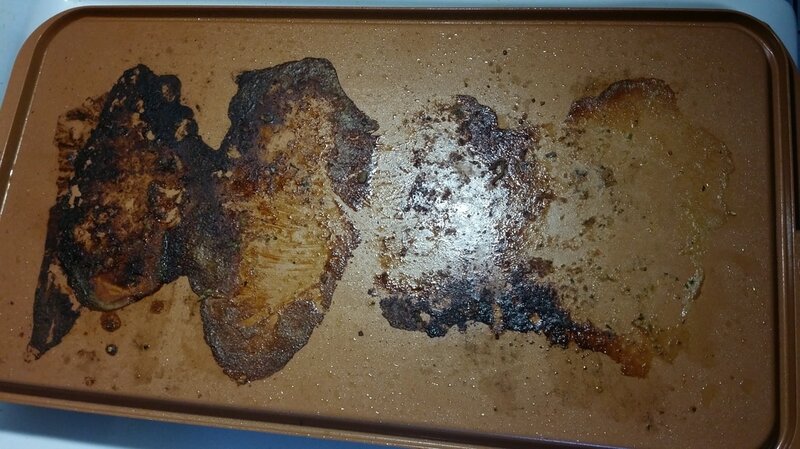 Luckily, although there was a burnt black crisp on the grill, clean up was surprisingly a breeze. 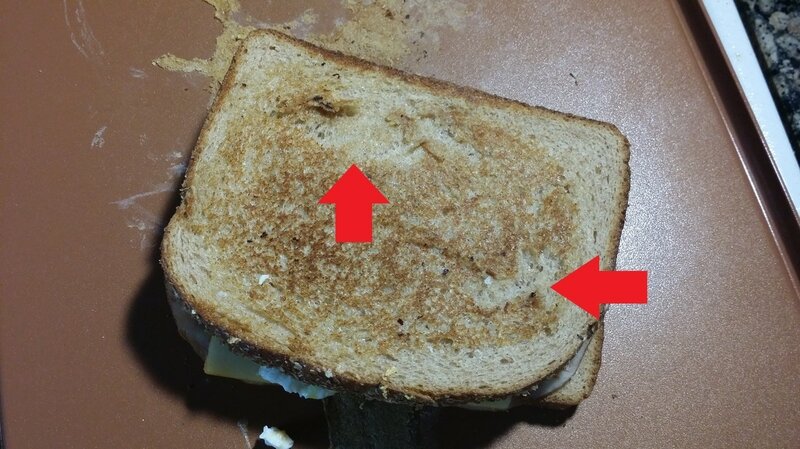 I used a rubber-tipped tong and glided it along the spaces of the grill and it removed the charred black, dried liquid extremely easily. Washing it was easy as well. 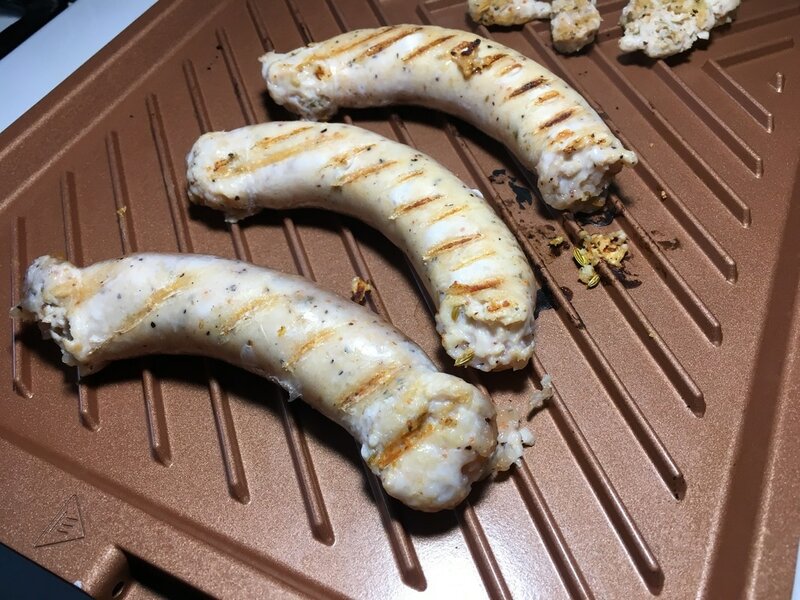 I also tried to grill chicken sausages. It took an extremely long time to cook these as well. 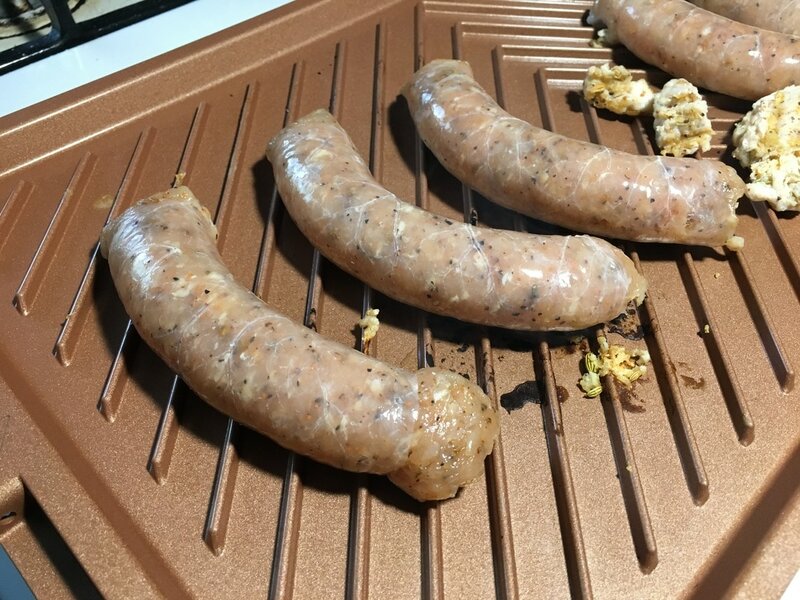 All the areas that did not touch the grill was pink and I had to stand there and hold the sausage with tongs and press down so that the heat can cook the pink parts. That increased space between each grilling bar makes it take longer for the food to cook. As far as the griddle side, I tried a few different things on it to see how it would turn out. 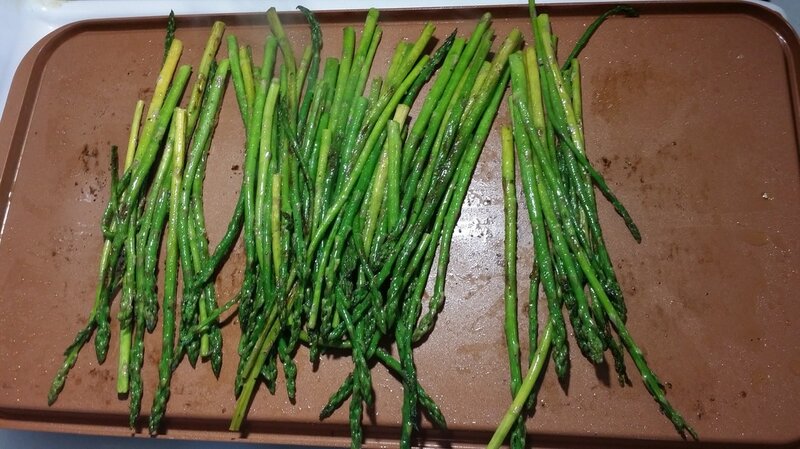 I cooked some asparagus coated in olive oil, salt, and pepper. I know the product states that no oil or butter was needed but the olive oil adds great flavor to the asparagus. I placed it on the griddle side and it cooked quite well. 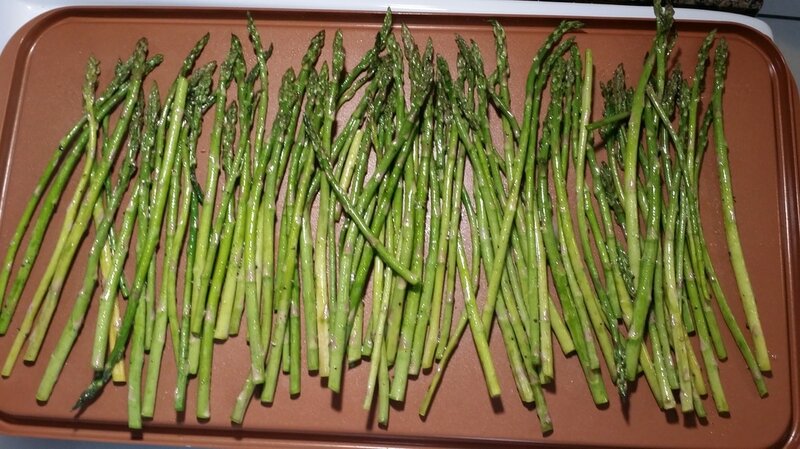 I had no problems on this side with the asparagus. 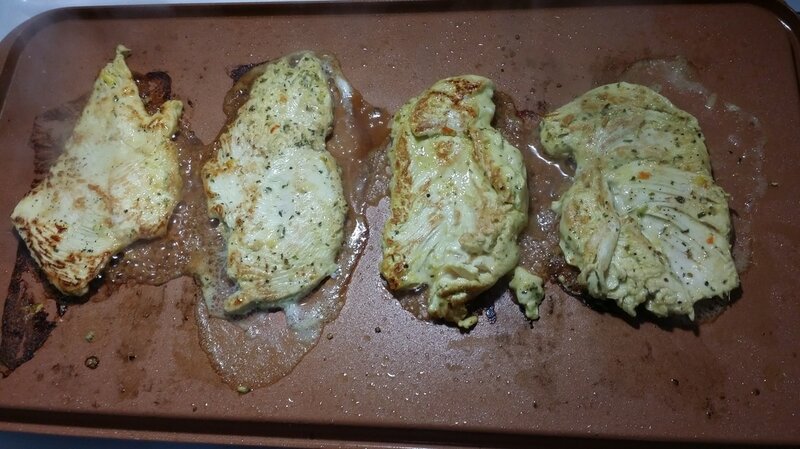 I tried the exact same marinated chicken on the griddle side as well. It cooked much faster but had the same results with the quickly burned liquid. To me, it's not that big of a deal since with most other cookware, this kind of liquid would also burn. Clean up was not bad. 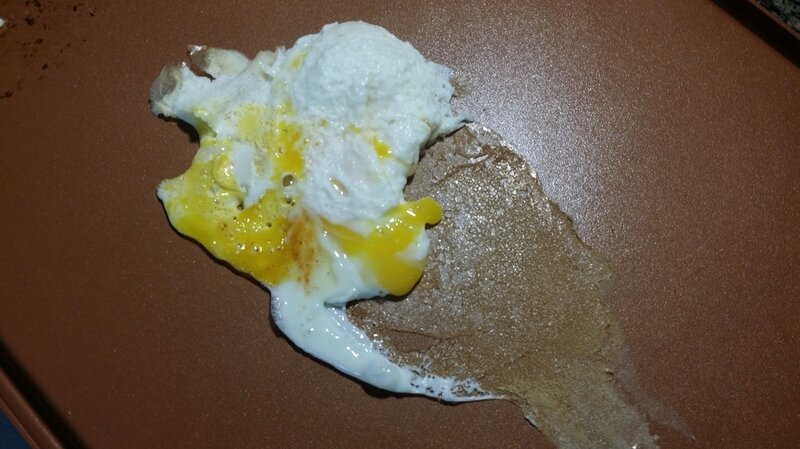 Then, for breakfast, I wanted to try an egg. The moment I put on the egg, it ran into the wells on the side. When I looked closer, it seems like the product slightly warped and was no longer completely flat, hence why the egg easily ran. Then it came time to flip the egg. It barely budged. It was stuck and I had to scrape it to turn it over. 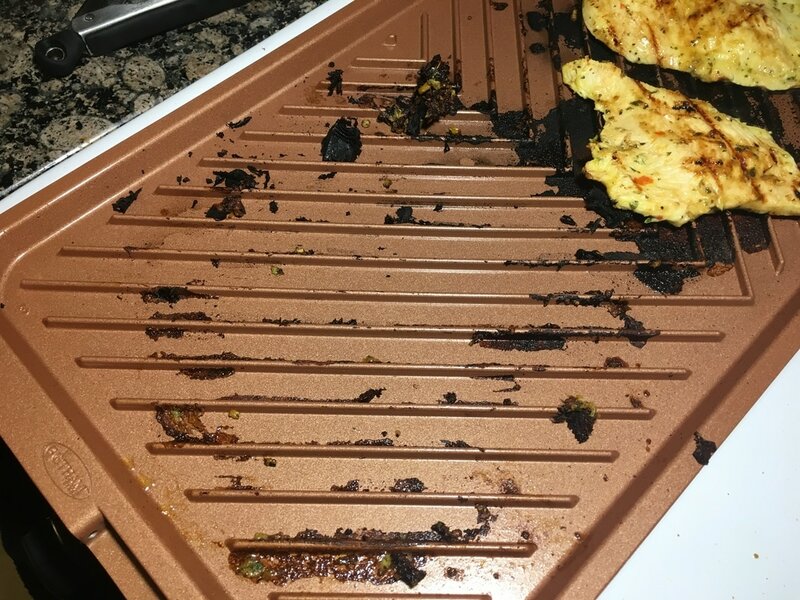 Apparently, that "non-stick" capability disappeared. 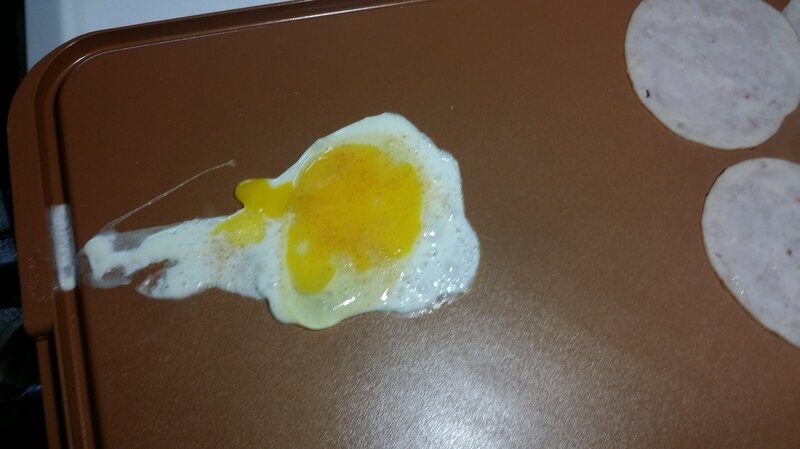 Even toasting my egg sandwich on the griddle was a fail. 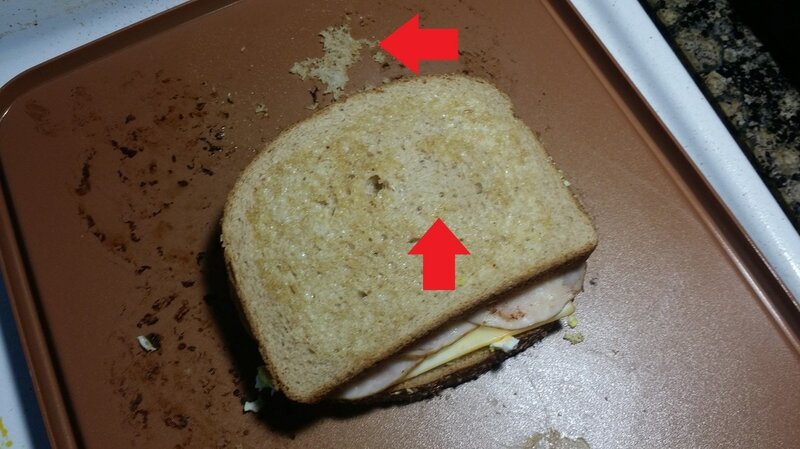 The top layer of the bread started to break apart when I tried to flip it over, an issue I never had when I toast bread on my other pans. I made French Toast to try out on the griddle several days later. The product says to avoid any form of non stick spray. Apparently, it will affect the lining over time. But I really had to try because I didn't want the french toast to stick to the griddle the same way the eggs stuck. 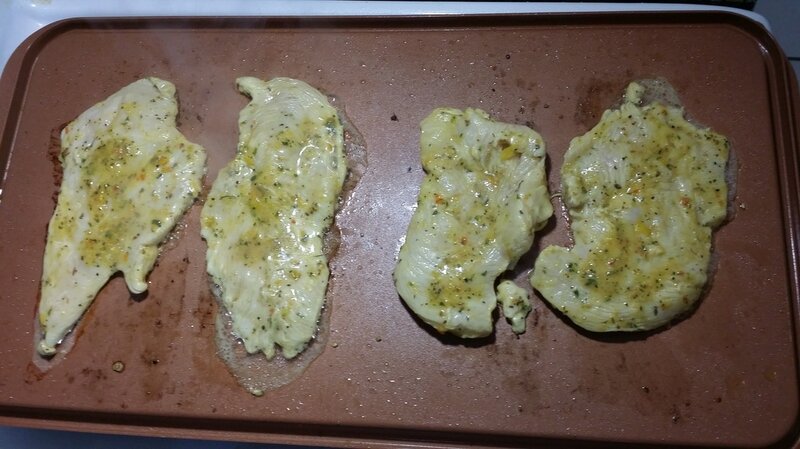 As a side note, I did not use any oil or butter when I made the eggs and they stuck badly. The non-stick spray saved my french toast and didn't stick at all. 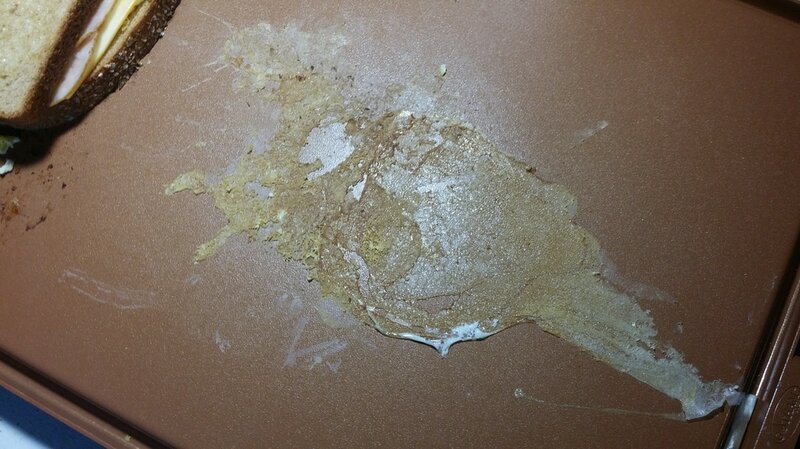 However, after washing, the griddle side did have some stains that couldn't be removed. Maybe due to the non-stick spray but I have no idea. I also forgot to mention that the edges of the grill/griddle already started to chip and I saw the aluminum underneath the coating. This was noticed sometime after the asparagus. 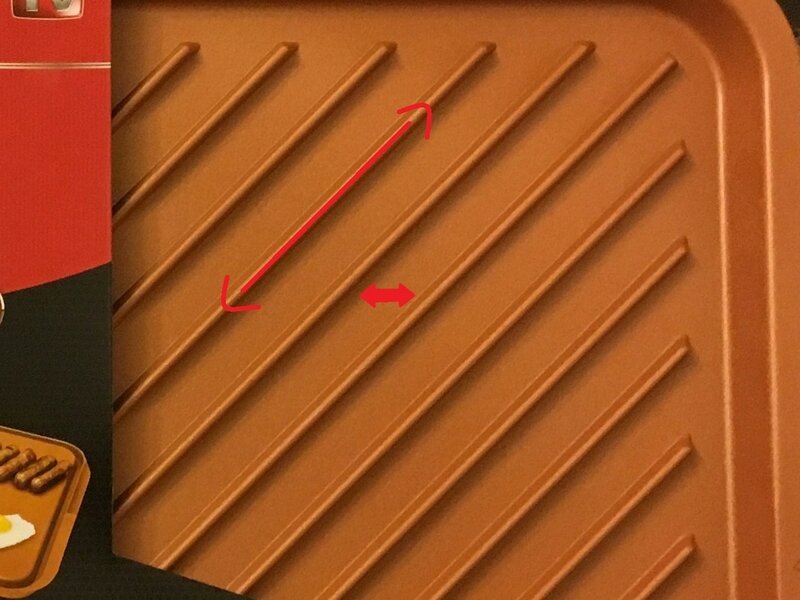 I was confused and didn't know if it was there before I bought the product or if it occurred during use. Which is highly suspicious because I never used any kind of utensils on the edges or rim of the product. I totally forgot to take pictures of these areas before I returned the product so I apologize. In the long run, the fact that I returned the product says my overall opinion on it. I really wanted to like this product. I didn't over-hype my expectations for it so that even if it wasn't that great as it claimed to be, I would still find it decent. However, even though it started out fine but overall, I found that it didn't meet my minor expectations. The grilling side is useless to me if it doesn't cook the way I want and burns everything too quickly. 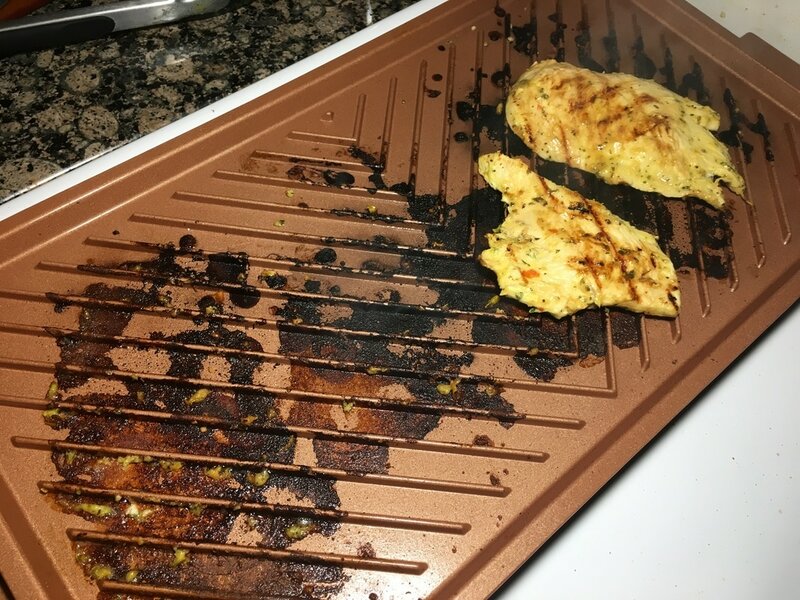 The griddle side was ok but will only work if there is some sort of oil or non-stick spray, the items it tells you not to use. Since I wanted a product that would work effectively on both sides, I decided to return it and look for something else. Did you find this post helpful? What are your thoughts on this product?